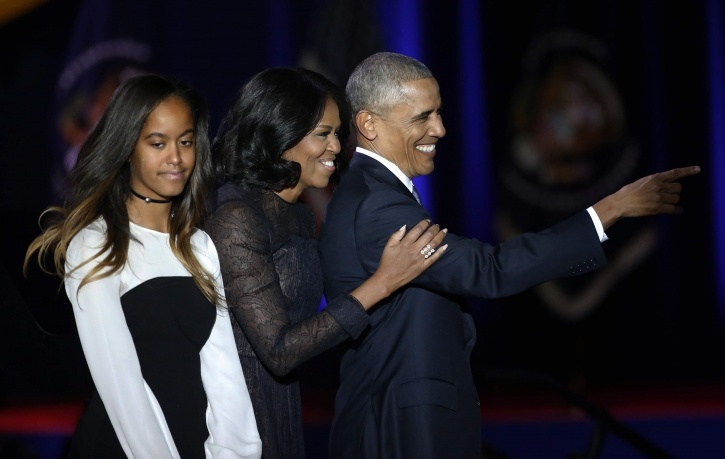 America watched tearfully as the eight-year-beloved president, Barack Hussein Obama Jr., gave his farewell address to the nation. The event took place on the night of 10 January in Chicago, not his birthplace or childhood hanout, but the place "where [he] learned that change only happens when ordinary people get involved." Orating as only Obama can, with fitful pauses and refinement (the occasional stutter as well), he delivered a heartfelt outpouring, drawing attention to his fears for the future of democracy. Full of bittersweet emotion, his speech serves as the closing curtain, the end of an era. Of more concern to the public was the glaring absence of a very important member of the Obama family. Older sister Malia, 18, grandmother Marian Robinson, and mother Michelle were all present in the audience, eyes appropriately brimming with tears. President Obama's 15-year-old daughter, Sasha, was not sitting with the rest of the family. The speech was well-received, McCormick Place convention center ringing with chants of "four more years!" from passionate audience members. However, a social media storm began to brew, inciting #WhereisSasha and #WheresSasha. As fire takes to kindling, Americans stormed to social channels to voice their opinions and crack jokes. After much fun is had on Twitter, a White House official revealed that Sasha was home in D.C. on account on an exam the following morning. Rather than quiet the Tweet-storm, Sasha's dedication to school prompted another flurry of hilarity. At one point, the president addressed both of his daughters, saying "You are smart and you are beautiful but more importantly, you are kind and you are thoughtful -- and you are full of passion. And bore the burden of years in the spotlight so easily. Of all that I have done in my life, I am most proud to be your dad." As usual, the truth was more mundane than expected, but could have inspired a few students to take their studies more seriously.